Very poetic praise about ice cream! Beautiful Elmo, beautiful! Also, I love the "surprise" Wednesday post! (Although I always check for new posts early mornings on Mondays, I also check in your blog throughout the week to read your responses to the comments.) Your "surprise" post is like getting a free meal upgrade (see your analogous "chicken upgrade" in your last post)! 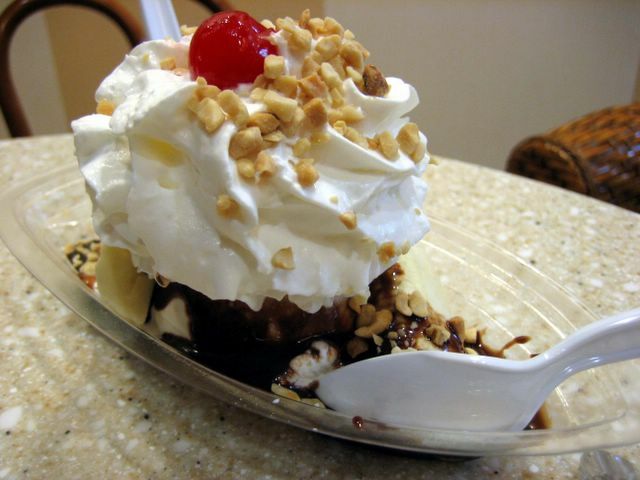 Speaking of Ohio and ice cream, have you tried Graeter's? That stuff is great! I tried Shinsengumi ramen, and I find the service to be all that great. No bowing or constant hovering. They were obsessed with making sure their pencils didn't leave their designated spots. HAHA! I'm glad I surprised you! Being that the Stricklands ice cream run we made on Tuesday night was made on a lark (it was one of those perfect summer evenings), I wrote this quick one with the same breezy attitude. Thanks for being such a keen reader! I always appreciate your kind comments. Unfortunately, by the looks of Graeter's official website, they haven't decided to make its way west. In the meantime, I'll be waiting! Hi Elmo - Wow, snuck one in one us, didn't you? Sure could use some ice cream on a hot day like today! Thanks for the Stricklands review! I happened to glance at your blog - which hubby and I thoroughly enjoy - on our way out the door for dinner last night, and this place was the perfect topper to the warm, wonderful evening. Thought I'd mix it up a little just this one. Even with a midweek post, I can never match the output you maintain. You're a well-oiled food-blogging machine! New places are fun aren't they? But I hope I can keep up with you. 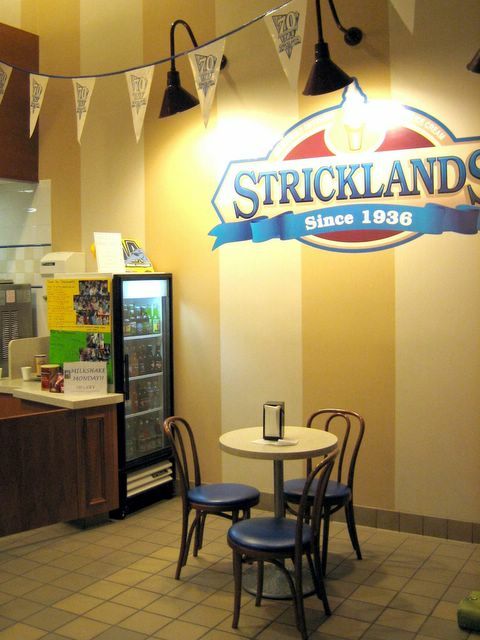 Strickland's, however, I had to finally write about...I've been a fan of it for quite a long time. It's up in the 90s here, and that sounds just heavenly. On a related note, if you ever find yourself in A2 again, you must try Stucchi's! It's a local favorite. Ahhh! Ice cream, soft serve, or any frozen treat is a sure sign of summer! :)I think I'll celebrate with the last scoop of coffee Haagen Dazs in my freezer, lol! Ah, yes. Ice cream. I love the stuff and you can never have enough. In Phoenix, it is currently 114F, so the ice cream and gelato palaces are full. The taste of a delicious bowl of ice cream of gelato is the stuff of dreams here in the desert. If you ever make it out this way, I will take you to Phoenix's version of Sticklands, which we call "Mary Coyle's" which has been in business for decades here. Of course, any ice cream will have to be preceded by a cheese crisp. It ticked above a hundred in the daytime here in California this weekend. I was aching to get a cool soft serve at Stricklands, but paradoxically, this meant I had to go outside into a hot car! If anyone deserves to indulge in ice cream it's you guys in Phoenix, where summer occurs for more days than anywhere else! And I would especially like to collect data about ice cream. Because of the link to your site. 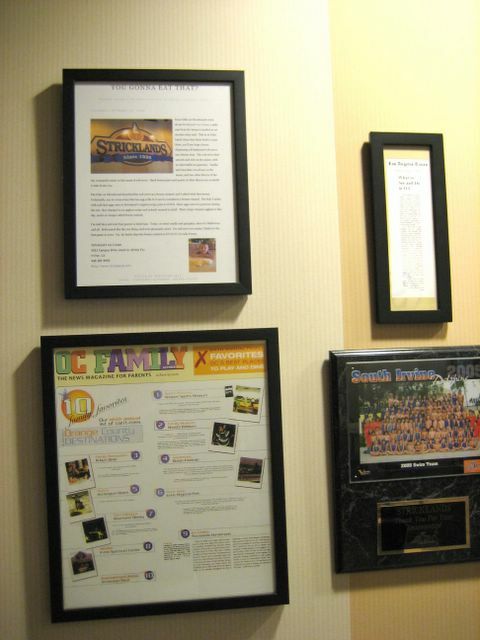 We hope to link this site please!